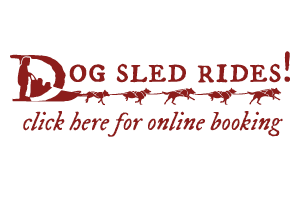 Since we last wrote about Dorado’s legacy, we have made great headway with the Iditarod Trail Committee Board of Directors on making changes to the dropped dog protocol. After the race we talked with many mushers and race volunteers to see what these people with vast Iditarod experience thought was important to make the dropped dog program better. We attended a phone meeting in July with the board where we outlined these things that we would like to see changed in the dropped dog program to make sure something like this could never happened again. Paige was recently invited to join the Iditarod board members in their planning meeting for the October board meeting to talk about changes to the dropped dog program. She was pleased to find that the board was very receptive to our requests and have mandated everything that we asked for. Some of these they were already working on. Here are the new mandated changes to the program for the 2014 race that we think can only make the program stronger and safer for all dogs in the race. 1) Every checkpoint will have a kit full of all gear needed at the checkpoint for dropped dogs. That gear will go in with the first veterinarian and out with the last veterinarian. The kits will contain 2 drop chains, 20 bowls and other feeding and appropriate dog care equipment. 2) Every checkpoint will feed dropped dogs at 8 a.m., 4 p.m. and midnight or more if necessary. This will make sure that all dogs in the care of dropped dogs staff anywhere on the race will be fed at these times. 3) In McGrath and Unalakleet there will be adequate wooden boxes for dropped dogs with back up being kennels. In Unalakleet there will be a dog inspection every two hours or more often if conditions warrant. 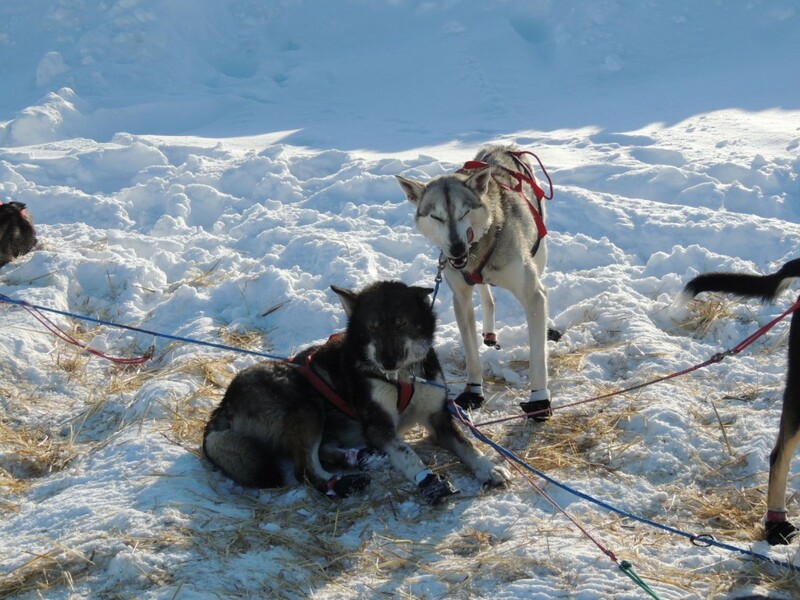 4) A tracking system is being put in place so the dogs can be tracked by ITC Communications staff from the time they are dropped until the time they are back in Anchorage through an Intranet program. There will be a master list in each checkpoint. This should allow for handlers and mushers to be able to find the location of their dogs. 5) Race Marshal and the Chief Veterinarian will provide a manual that will be a reference on how to properly handle and care for dropped dogs on the trail. A draft will be available at the December meeting. It will be available to anyone dealing with dropped dogs. 6) Mark Nordman noted that the dropped dog protocol calls for dogs to be moved within 24 hours. We are very pleased with these changes and feel that our dogs will be safe on the trail. We’d like to send out a huge thank all those people that sent us suggestions for changes and for all the people that were there supporting us. Paige is looking forward to seeing these changes out on the trail during this year’s Iditarod. 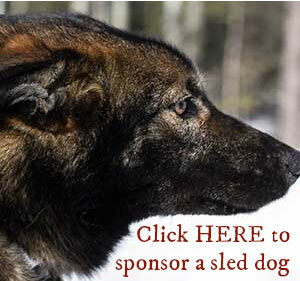 This race is for Dorado, who gave a great sacrifice for the rest of the dogs in Iditarod. That’s great news, Dorado didn’t pass in vein then. Previous post: Our new handler, Charity, writes about her new job! Next post: Scurion Headlamps… Lighting up the dark of night for Team Squid!